I'd rather have bad times with you, than good times with someone else. I'd rather be beside you in a storm, than safe and warm by myself. 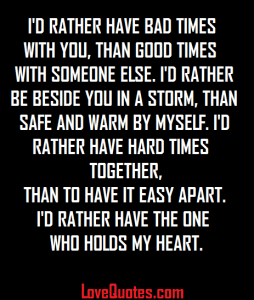 I'd rather have hard times together, than to have it easy apart. I'd rather have the one who holds my heart.